The Shamanic Dream is available at Amazon, Barnes & Noble, Scribd, iBooksstore and most major ebook retailers. 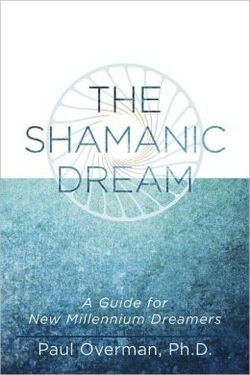 The Shamanic Dream: A Guide for New Millennium Dreamers introduces evolutionary approaches to night dreams, visionary dreams, guided-imagery and meditation for mastering the inner and outer life. Stories from the author’s personal experiences as well as those of others are given. ​Guidelines and numerous exercises assist the dreamer to have higher and more expanded dreams, for transforming mind, body and life. The Shamanic Dream includes methods to dream in higher and higher states of dreaming, and wider states of consciousness; thus, coming into harmony with the deeper inner worlds of greater feeling, greater thought and greater will (intention). To guide the reader to discover the creative powers of the night and to help the reader center one's dreaming life around the soul and inner Self is the purpose of the book. Based on over twenty-five years years of research on higher dream states, The Shamanic Dream draws on ancient Eastern traditions and texts, twentieth century sages, and revolutionary mind-body techniques. I have also had a wonderful lucid dream, where I could verify upon waking having been in my friend's dream, using his techniques. I have had some really powerful dream messages working with The Shamanic Dream. If you want to go beyond ordinary dreaming this is the book for you.